ON PASSE UNE MOITIE DE SA VIE A ATTENDRE CEUX QU’ON AIMERA ET L’AUTRE MOITIE A QUITTER CEUX QU’ON AIME. DEPUIS LE JOUR OU JE T’AI RENCONTRE JE N’AI DE CESSE DE PENSER A TA SUBLIME BEAUTE! L’AMOUR, C’EST L’ENNUI D’ETRE 1, LE BONHEUR D’ETRE 2, LA PEUR D’ETRE 3. J’AIMERAI ETRE UN PYJAMA, POUR DORMIR AVEC TOI ET REVER CHAQUE NUIT D’UN FLIRT AVEC TOI. TA MERE DOIT ETRE UNE VOLEUSE, CAR ELLE A VOLE DEUX ETOILES DU CIEL POUR EN FAIRE TES YEUX. QUAND L’AMOUR VEUT PARLER LA RAISON DOIT SE TAIRE. POUR SE PLAIRE, IL FAUT SE RESSEMBLER BEAUCOUP AFIN DE S ‘ENTENDRE ET DIFFERER UN PEU AFIN A D’AVOIR A SE COMPRENDRE. JE VOULAIS PASSER LA NUIT AVEC TOI. COLLER MON CORPS NU CONTRE TOI. JE T’AI CHERCHE MAIS JE NE T’AI PAS VU. OU ETAISTU MON PYJAMA? SI TU ES SENSIBLE A MON AFFECTION DONNE MOI UN PEU DE CHALEUR, ET NE ME LAISSE PAS ME NOYER DANS UNE MORTELLE INQUIETUDE. 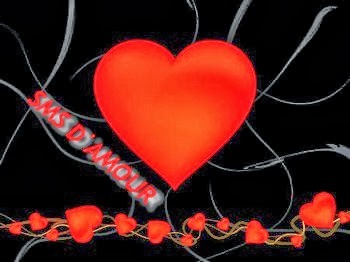 NE PLUS ETRE AVEC TOI A CETTE HEURE, NE PLUS ENTENDRE BATTRE TON COEUR, NE PLUS SENTIR TON ODEUR, EST POUR MOI LA PLUS TERRIBLE DES DOULEURS. IL PLEUVAIT QUAND TU ES NEE, CAR DIEU A DU VERSER TOUTES LES LARMES DE SON CORPS QUAND IL SE RENDIT COMPTE QU’IL AVAIT PERDU SON PLUS BEL ANGE.